Artist's impression of the completed Commerce One development. Calling all SMEs and new start-up company owners …. a rare opportunity to own a new office suite in one of Kuala Lumpur’s prime and established locations awaits you at Commerce One. Strategically located in the prized business hub of Jalan Klang Lama (5th mile), Commerce One, developed by GuocoLand Malaysia, offers small and medium sized companies a viable option of owning their office premises rather than the usual rental route. The twenty one storey corporate office building offers 222 units of modern office suites (500 and 1,700sq ft), a retail and F&B floor, fiber optic broadband connectivity, dedicated entrance lobby, 24-hour security, ample cark park and landscaped terraces. For added convenience and privacy, en-suite toilets and pantries are standard features in all office suites (from 1,138sq ft) facing Jalan Klang Lama. Commerce One, located near the Pearl International Hotel and only 3km to Mid Valley City, is well served by a network of highways – New Pantai Expressway, KL-Putrajaya Highway, Shah Alam Expressway (KESAS) and Federal Highway – and good public transportation. 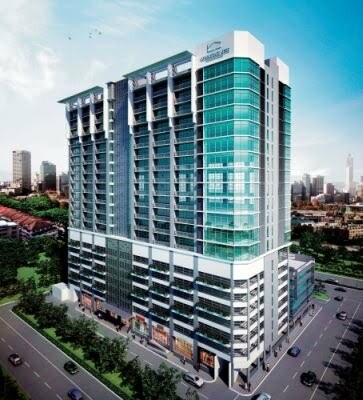 GuocoLand (Malaysia) Bhd Marketing and Sales Director Pam Loh said Commerce One would also make an excellent investment option given its attractive rental returns of about six per cent for prime office locations in Jalan Klang Lama. “We are also giving top priority to security for added peace of mind. Access card and close circuit TV will be part of the total security system in addition to round-the-clock security,” she said. About fourth per cent of office suites have been sold during the soft launch ahead of Commerce One’s launch at the Commerce One Sales Gallery (2-3, Lorong 2/137C, off Jalan Klang Lama. Tel: 016-3399 506) on 5 May 2011. The office suites are priced from RM430 per sq ft.